ResellerBasket provides hosting on its wide range of Managed dedicated servers colocated at ResellerBasket's virtual data center located Florida, in US. 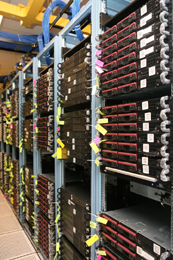 ResellerBasket virtual Data Center's connectivity is comprised of multiple redundant Tier 1 back-bone providers. Through partnerships with Level 3, Time Warner Telecom, Global Crossing and Cogent we currently have over 100 Gbps bandwidth capacity routed via FCP and BGP4 protocol. Simply put, we have an enormous connection directly to the internet and the ability to serve any internet need one could dream up. Intelligent BGP and FCP route optimization will always choose the quickest path to get your data from point A to point B. ResellerBasket virtual data center maintains low overall network utilization at all times providing durability during any large internet routing issues such as a DDOS or DOS attack. ResellerBasket through its virtual data center is committed to providing a standard of service and reliability unparalleled in the hosting industry. The ResellerBasket virtual data center uses redundant Cisco and Foundry components to eliminate any single point of network layer failure. Multi-homed network through redundant Tier 1 carriers which results in you, the customer, always being able to count on fast and reliable connectivity to our network. Additionally, we have multiple fiber entry points into our data center to ensure our network is never cut off from the world wide web. 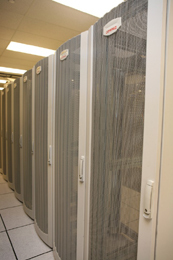 Data Center is outfitted with redundant CRAC, Battery Power and Diesel Generator Power to ensure uptime in any situation. In the event of a utility power outage we immediately fail-over to our n+1 UPS and battery banks. If after 30 seconds utility power has not been fully restored our 1.5 megawatt Cummins diesel generator automatically fires up and power is then transferred to generator a few seconds later). Power is automatically conditioned during each transfer by our n+1 PMM units to ensure clean and reliable power at every stage and source. Network security at ResellerBasket virtual IDC is paramount. ResellerBasket maintains redundant firewalls that stop most attacks before they start. Additionally, we have in place on our network an intrusion detection system that is automatically updated each time a new security flaw is discovered worldwide. 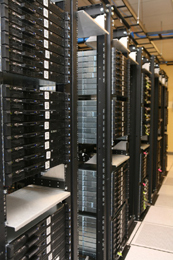 Each of our servers goes through a stringent hardening process prior to being introduced on to our network. Additionally, each server has the option to have a software or hardware firewall enabled for exclusive security enhancement.Plus SSL Enable for Indivisual website. The ResellerBasket data center is ultra-secure with only ResellerBasket employees having access to our offices and server rooms. Access to our building is only granted via employee key cards or after security clearance from within our secured lobby. In the event a customer needs personal access to their server on the data center floor, they will be escorted through additional security points by a ResellerBasket employee who will assist and monitor all activity. 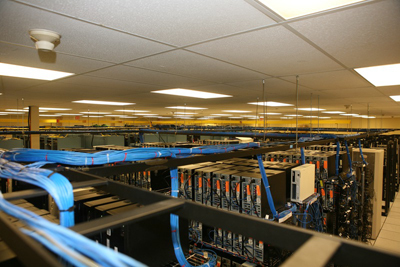 Secure computer labs and work benches are available off the data center floor for on-site customer needs. Entrance and exit from these labs is granted from an internal intercom system located in each lab room. Additionally we have in place many of the latest security measures including but not limited to; fire detection and suppression and closed circuit cameras monitoring every square foot of our facility.So Just select Web Hosting or Dedicated Hosting plan and Start your Hosting Business.